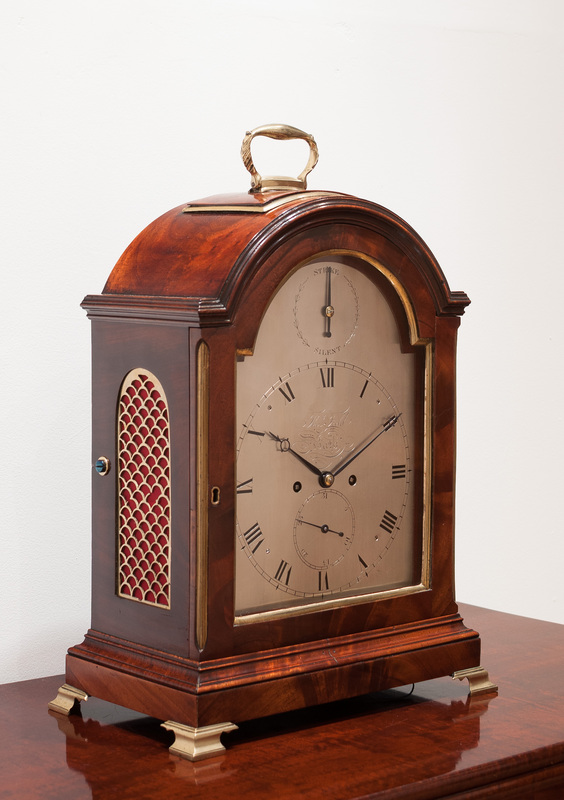 Maker: J Thwaites 4 Rosomon Street London 1780 - 1816 retailer / supplier of high quality clocks. Retailer: Thomas Field 2 Bond Street Bath, 1795. 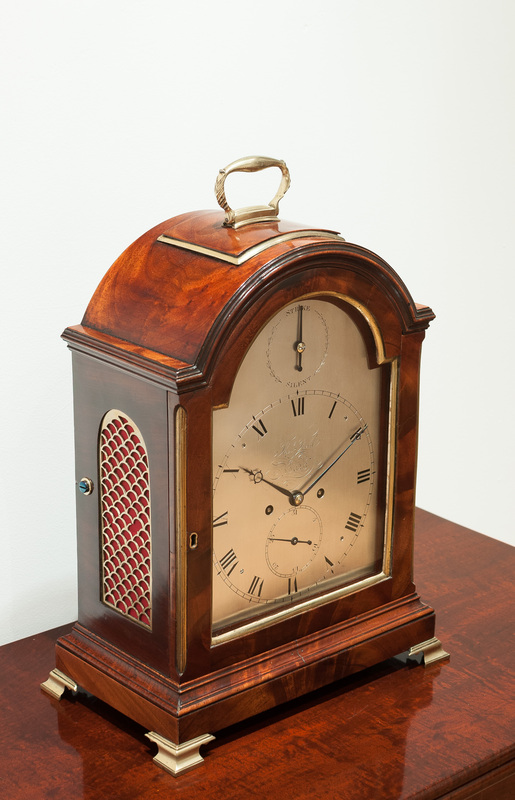 Height:	17" Width:	13" Depth: 8"
A fine quality mahogany bracket clock, by J Thwaites of London retailed by Thomas Field of Bath. 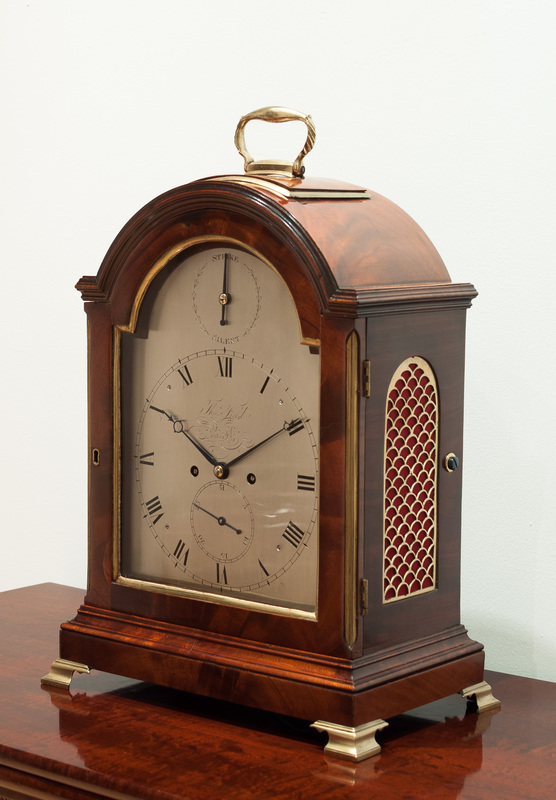 It is well documented from the Thwaites records that they supplied many clocks too Thomas Field and in addition supplied to many of the fine clockmakers of London. The high quality brass bound single pad top breakarch case veneered in beautifully figured curled mahogany. 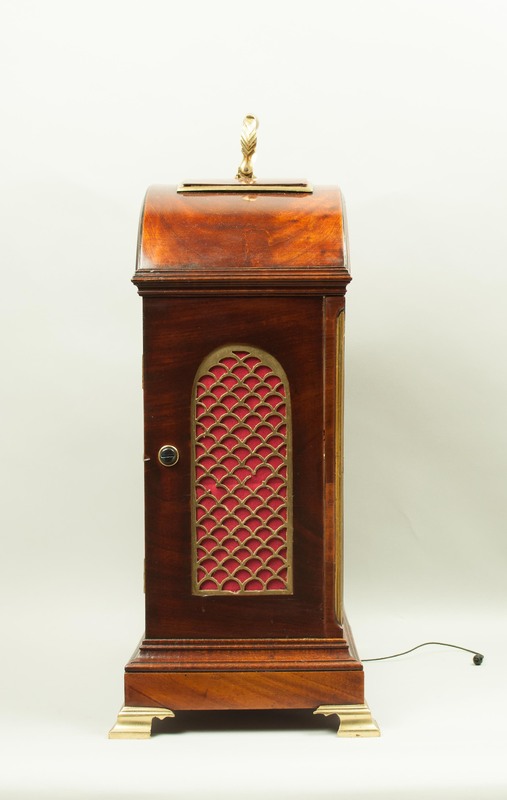 The sides with silk lined cast brass frets and rear with glazed viewing window. original brass ogee feet. 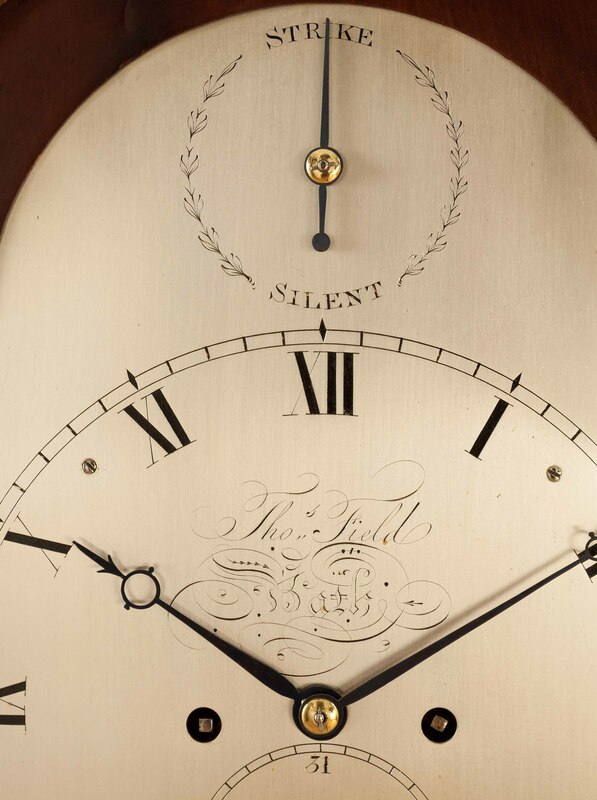 The arched silvered brass dial signed Thomas Field Bath to the dial centre, with strike silent to the arch and subsidiary calendar zone to the lower dial. 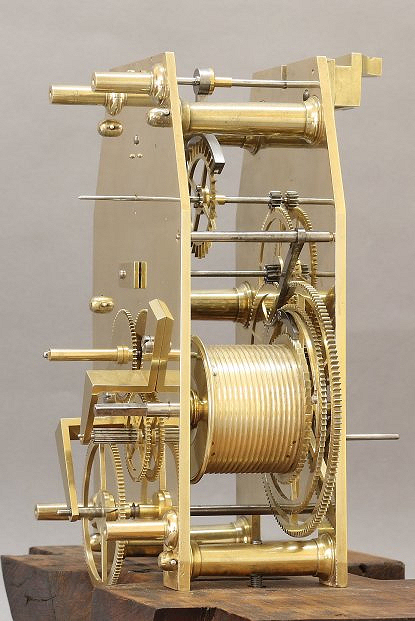 The high quality twin fusee movement of eight day duration, united by five knopped pillars, with the original anchor escapement and striking the hours on a single bell, with strike silent facility and pull repeat. Signed to the back plate Thomas Field Bath. 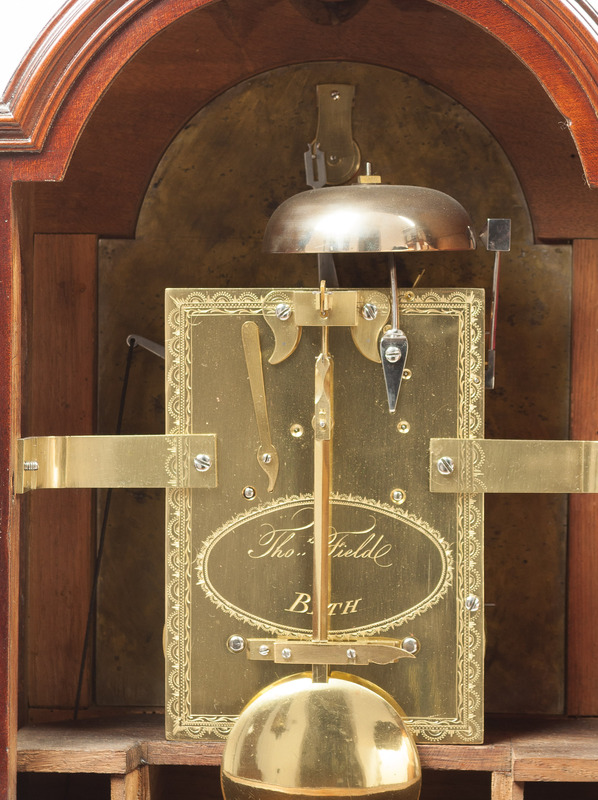 Heavy brass bob pendulum, with London style rating adjustment and latched pendulum restraint. 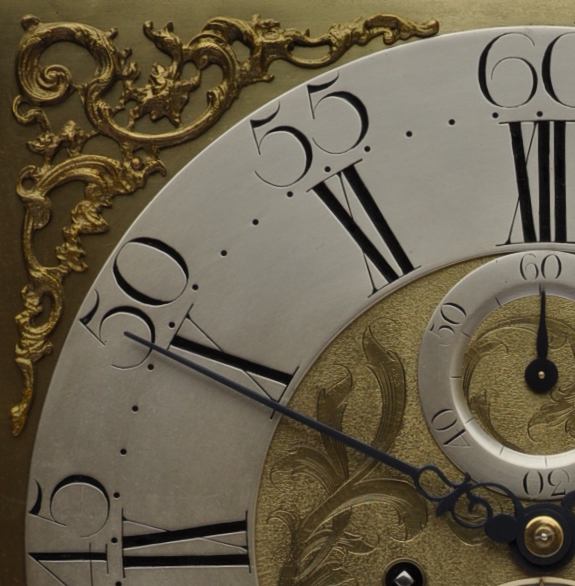 The frontplate of movement signed J Thwaites and numbered 3211 dating the clock to 1803 from Thwaites production records. 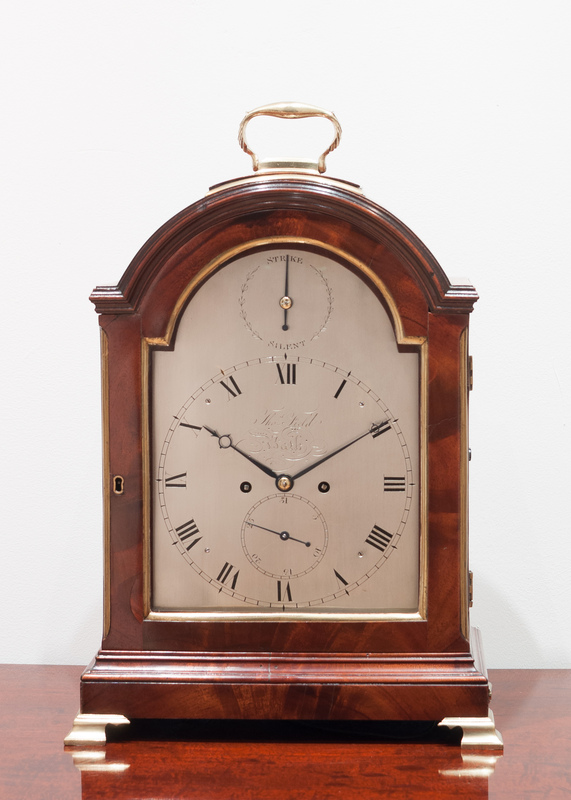 In addition the movement, seatboard, reverse of the dial and the case are all stamped 3211, indicating Thwaites supplied the whole clock and not just the movement. Finely fretted blued steel hands.